I love checking out children's books and am always eager to get my hands on a new one. 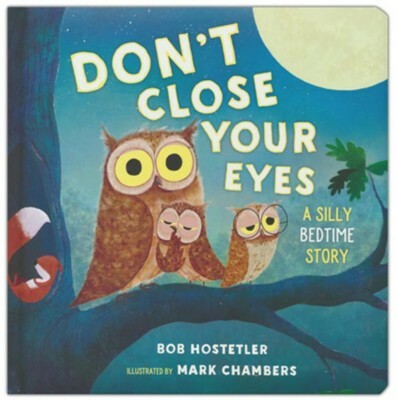 I was happy to have the chance to read and review Don't Close Your Eyes. I think that one of my nieces will really like this book - and I look forward to passing it on to one of them. I was attracted to this book because of the cute owls on the cover, and the rest of the book is full of fun pictures, too. This book is really interesting and different. It encourages children to stay up, to not close their eyes. It shares a bunch of reasons why a child should stay up and I thought that was funny and cute. The pictures in the book are fun. The book ends in a surprisingly sweet way. There isn't a single thing that I didn't like in this book. I give Don't Close Your Eyes 5 out of 5 stars.